The life and times of Freddie Mercury has been inspirational in more ways than one. Here are the few leadership lessons from this legend. It has been nearly 27 years that Freddie Mercury left this world but his work is still very much alive. The Queen biopic Bohemian Rhapsody won big at the Golden Globes. The film picked up the award for Best Motion Picture and Rami Malek won Best Actor for his performance as Freddie Mercury. Last year in October during its release in India, I watched the biopic on Queen frontman, Freddie Mercury. I was fascinated with Mercury’s personality which led me to watch a number of documentaries (Freddie Mercury: The Great Pretender and Freddie Mercury - The untold story) and feel the story of the singer’s journey from Zanzibar to stardom is more than just inspiring. No, it is not just a rags-to-riches kind of story but there are a lot of lessons that can be brought back into our work in leadership development. 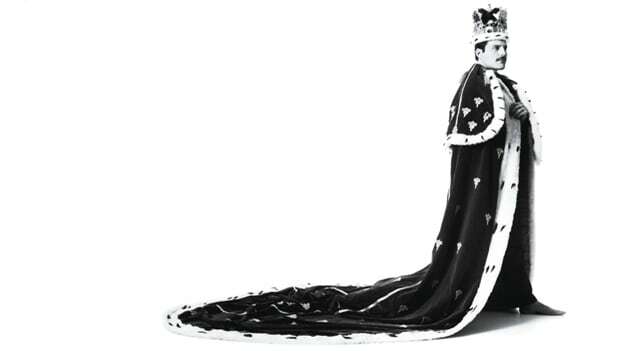 Here is an account of we all we can learn from one of the greatest but unconventional leaders — Freddie Mercury, the champion of the world who became a champion for the world! As cliché as it may sound but believe in yourself. According to Queen’s guitarist (and Astrophysicist) Brian May, the biggest influence on Freddie was Freddie himself. Despite his limited formal musical training, lack of conventional good looks, and British racism, his intense self-scrutiny helped him develop a new idea of himself that went far beyond anything anybody who knew him had imagined he might become. Queen's guitarist, Brian May and drummer Roger Taylor were content with their current band (Smile) but there was something special about Mercury. He encouraged Smile to experiment with recording and showmanship, qualities and nominated himself to sing as the group’s lead vocalist left the group. And it led to the foundation of Queen. "A while later we had the opportunity actually to see him sing ... and it was scary!" writes May in a blog. "He was wild and untutored, but massively charismatic. Soon, he began his evolution into a world-class vocal talent, right in front of our eyes." Different is better than better. If Queen had listened to their record label, they would never have released "Bohemian Rhapsody" as a single. As shown in the movie, EMI Records heavily criticized the music stating it was too long and weird. However, it emerged as a global No. 1 hit – twice! 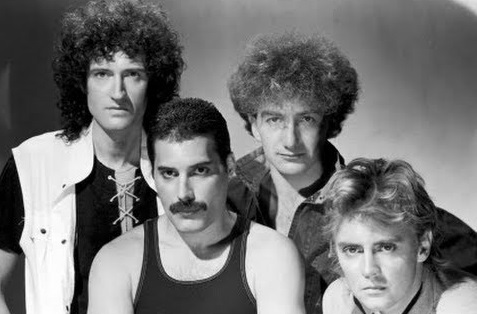 If you have watched the movie, Freddie Mercury and his band members walked into EMI Records to play their single “Bohemian Rhapsody” of their new album, “A Night at the Opera.” However, EMI executive Ray Foster refused to release the song as the band’s next single following “Killer Queen,” mainly because he thought a six-minute tune would never play on the radio. Mercury was adamant! Mercury told Foster that he would forever be remembered as the guy who lost Queen. He went ahead and released Bohemian Rhapsody on the radio without any edits. The rest is history! Mercury taught a great lesson here: If you do things like other people in the industry, you won't be creating any real change or any real value. A concert is not a live rendition of our album, it’s a theatrical event! Connect with your audience (employees). Late Queen frontman Freddie Mercury was known for his commanding live performances. His stage presence was enthralling and he was a unique showman who knew how to connect with the audience. He understood this even better than their producers and record labels did. People who knew him say he always cared about his audience. 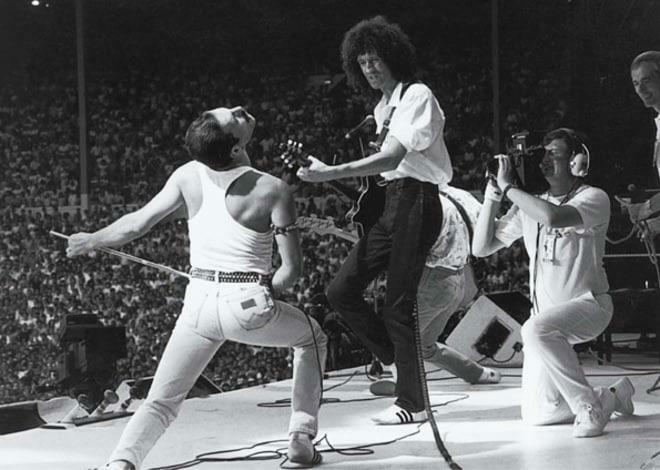 That lack of self-involvement is part of the reason many critics rate Queen’s 25 minutes set at the Live Aid benefit concert in 1985 as one of the best live performances of all time — even more as other, more self-involved iconic groups who performed that July day, such as Led Zeppelin, failed to make any connection. Brian May: I want to give the audience a song that they can perform. Freddie Mercury: What is the lyric? 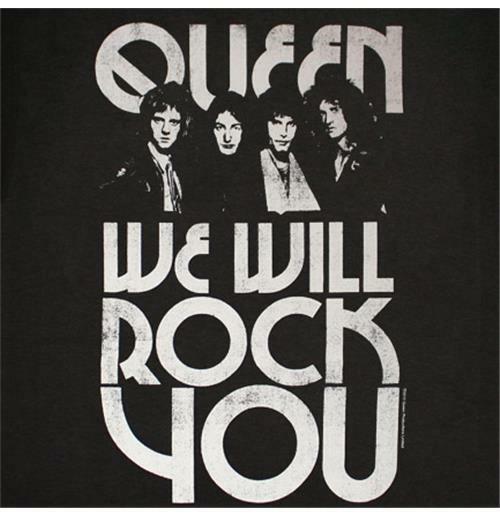 One of the greatest songs of all time, ‘We will rock you’ was written by Brian May and he wanted to "create a song that the audience could participate in. He tried to come up with a song where that Queen fans could sing along to… or even stomp along to. In the movie, Bohemian Rhapsody, there was a scene where May is asking Roger Taylor (played by EastEnders’ Ben Hardy) and John Deacon (Joseph Mazzello) to ‘stamp to this beat’ before the three are interrupted by Rami Malek’s Freddie, showing up late to rehearsal. ‘Imagine, thousands of people doing this in unison,’ suggests Brian before the clip transitions into the band performing the song in front of tens of thousands – all clapping in unison. The song was being conceptualized when tensions started to rise and cracks in the band were being observed, as Freddie’s continues to rise and his focus on making music begins to shift. But keeping all differences aside, Mercury did not question May’s idea but supported what is right for the band and the audience and ask the band to prepare to make the song the next anthem. We are a family. We believe in each other. That’s everything. Calling your team members into a room and admitting you were wrong takes guts. This is what happened when Mercury realized that he did wrong separating from Queen. He came back, called the band members and apologized. He took full responsibility for a bad situation, offering to make amends and being willing to consider what others suggest is the sign of a great leader. As a leader, you are expected to have the answers but you are not perfect. Think about what you must to handle better in the past. Go take the blame, apologize and ask for forgiveness.